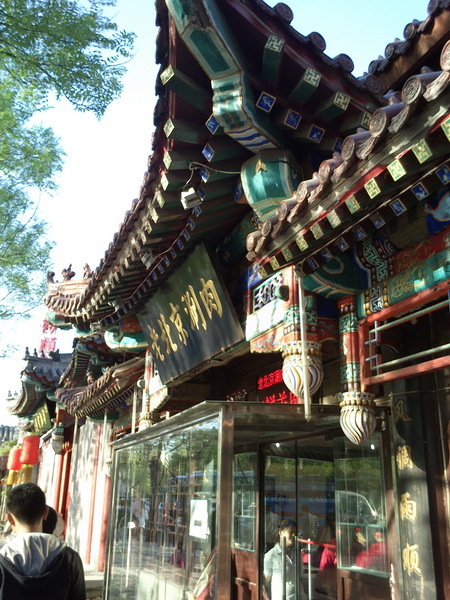 In our Beijing Trip, I told the guide that we wanted to see authentic "Old Beijing". 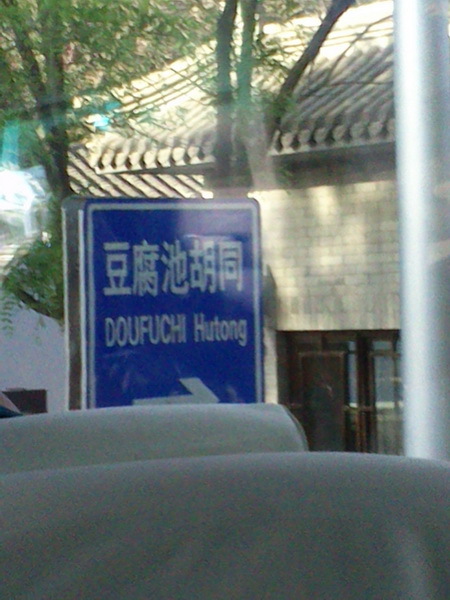 He took us to Doufuchi Hutong which a few blocks away from the Forbidden City. 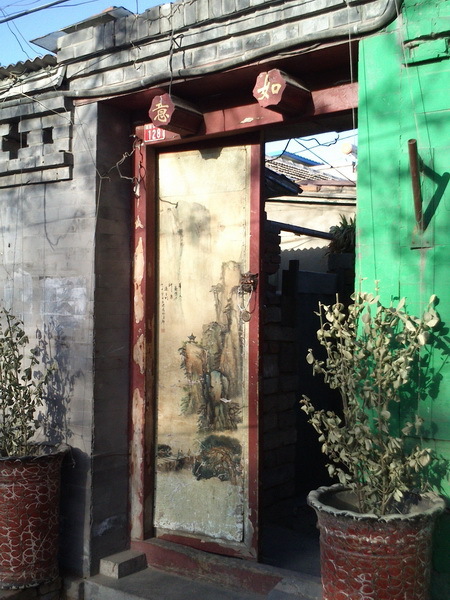 Hutongs are old roads or alleys surrounded by old houses. 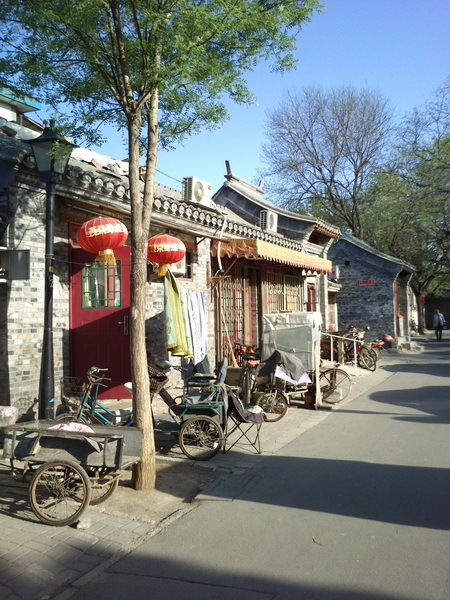 During the modernization of Beijing, thousands of Hutongs were cleared to give way for the new buildings and other developments. 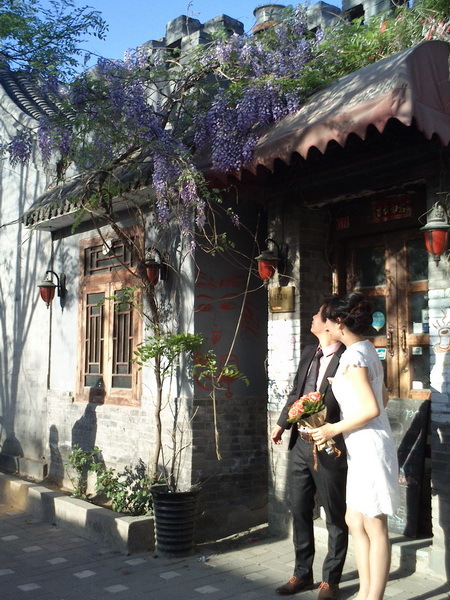 Doufuchi Hutong is reminiscent of the old Chinese Villages, though some old buildings are turned into shops. 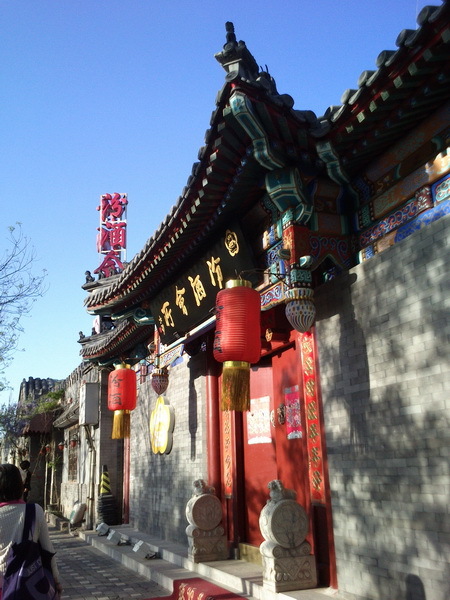 We never did roamed around the very narrow alleys but be walked through the streets to get the feel of the place. 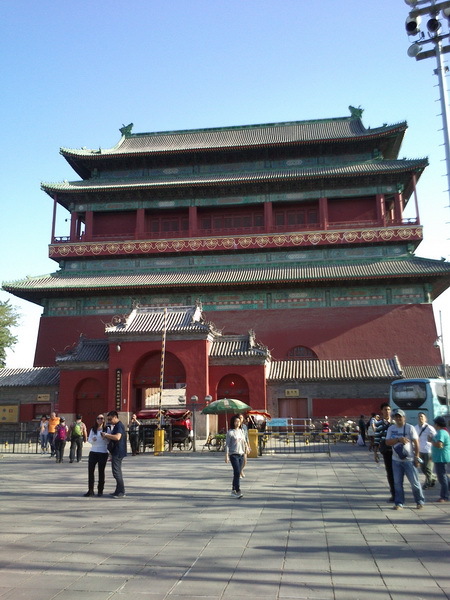 We were first greeted by the big red Drum Tower (Gǔlóu) which is only a few steps from the Bell tower(Zhōnglóu). 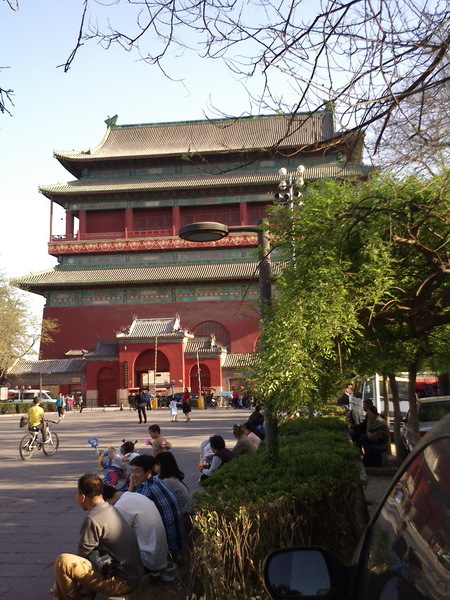 Locals were spending their leisure time at the square. 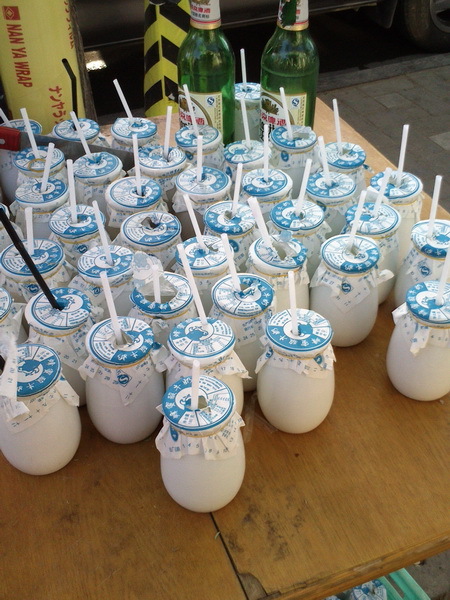 We were able to get a glimpse of their lifestyle & usual activities. The place seemed laid back. 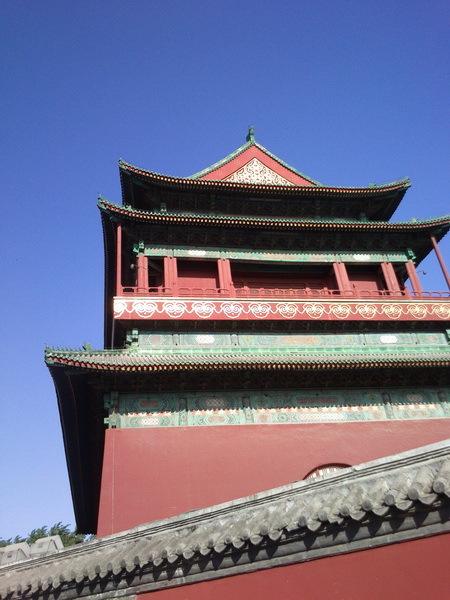 I love the architecture, some may seem pretty simple ans some ornate. My friends even tried the freshly baked buns. There are rickshaws offering tours but we opted to walk. While roaming we even met a Filipino who was teaching English there. While he was also exploring the place overheard us and said hello.